I had no idea "The Recognition" was so obscure, collected only in the UK complete stories (second volume in paperback). It is a story I am so familiar with as to assume it was always readily available. This collection could not indeed have been "complete" without "The Ultimate City", but I can find no excuse for omitting "Journey Across a Crater", "Neil Armstrong Remembers His Journey to the Moon" and the surgical fictions. They are as important to his oeuvre as any other works. 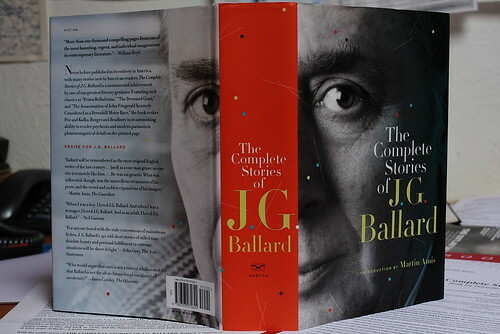 As for the "short versus long" debate, there is no doubt in my mind that anything Ballard did in his novels he did better in his short fiction, the concentrated style suiting him better than rambling satires. I'm a fan of Krautrock (and also extended minimalist composition), but the comparison to "pop" music -- by which I assume you mean disposable radio fare and not music of the pop art movement -- breaks down. Read the first chapter of Crash then read the whole book. There is nothing in the remaining sections that was not done better in the first part, originally published as a self-sufficient entity. Ballard many times disparagingly referenced his own padding as something the market required. 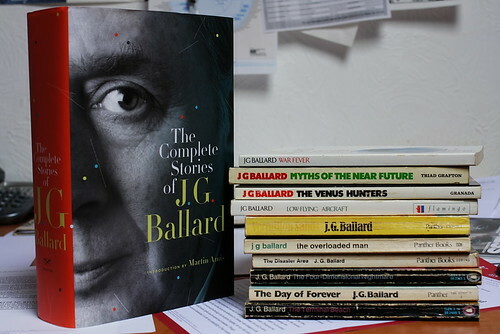 Had Ballard continued in the same manner as The Atrocity Exhibition, with a series of "condensed novels" in place of conventional plotting, then I think he might have broken yet more ground. But most of his full-length books signal a retreat into the conventional after this high-water mark. Though, tellingly, his short works continued to challenge and inspire. Thanks for the comments, Robin. My reference to pop certainly wasn't meant to be derogatory - a fine pop single is a lasting glory, whether it's 'Be my baby' or 'Anarchy in the UK' (or, perhaps more relevantly, 'Video killed the radio star' or 'Warm leatherette'), and can pack plenty into three minutes. But I still like the full 15 minutes of 'Mother Sky', or an hour of 'Pink Lady Lemonade'.